Polak, Węgier dwa bratanki, i do szabli, i do szklanki! We are András Király and Dávid Timár from Corvinus University of Budapest Hungary. We strongly recommend you to spend one or two semesters in Budapest, at our University. There are lot of reasons, let’s begin with the University. Corvinus is the best and oldest university in Hungary focusing on economics and business. Predecessor in title of Corvinus was started in the early 1910’s as an independent department of economics in the National Academy. 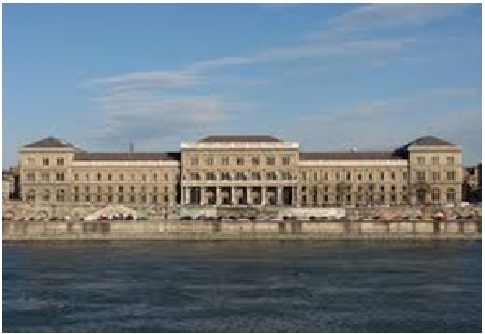 After World War II, it became fully separate and independent, by the name of Hungarian University of Economics. In the communist era the university was renamed after Carl Marx. The final and current name – Corvinus – was given in 2004, after a great fusion between the economics, business, social sciences departmens and the College of Public Administration and the former University of Horticulture and Food Industry [http://portal.uni-corvinus.hu/index.php?id=44616]. Therefore, our university has the best economics programmes, recognized by the labour market. A degree from here is a good entrance. The education is of high-standard, lot of very well-known international professors, economists, politicians come to hold here for some lectures. The latest “big name” visitor was Ban Ki-moon [http://www.un.org/sg/biography.shtml], Secretary-General of the UN! About the localization and student’s life: The campus of the economics departments is located in the centre of Budapest, at Fővám Square. The main building is a national monument, one of the most beautiful sights of Budapest. Building C is a new one, with very modern classrooms, and there is the 3 floored library. The third building is between the first two and that’s the smallest one, but it’s very important, because that hosts the IT sections, it’s called “Sóház”. The lectures are 90 min. long, and between them there are 20 min. breaks. Usually the teachers let you drink and eat in the classes. There are several smoke zones around the buildings, inside smoking is forbidden. The university collects the garbage selectively to protect the environment. You have the opportunity to do some sports for free at the university. Nearby located one of the dormitories, called Kinizsi, and there is a sport hall in the basement. Football, basketball, volleyball and also a little fitness room. You can also do some swimming in a swimming-pool located at the other side of Danube. About student’s life: there are plenty of student organizations in the university, over 30! One of the biggest is ÖCSI (We don’t even try to translate it 🙂 ) with more than 140 active members. They organize the freshmen camp every year, lot of parties for them (freshmen ship, tavern-tour) and the biggest event of the university, the freshmen ball! 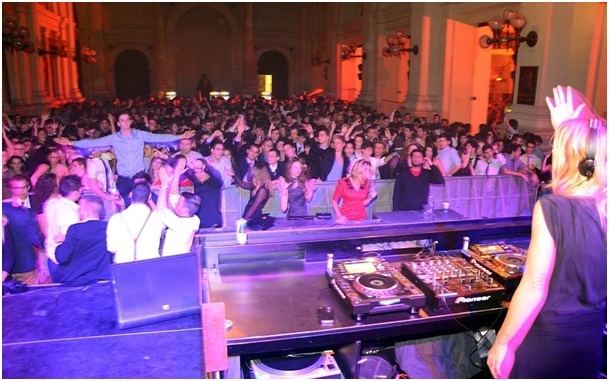 This event is the biggest ball in the country, and it takes place inside the main building! With a fantastic atmosphere, at least 3 stages, more than 6 different hand-made scenes, world famous musicians, and the most popular domestic artists. If you are in Budapest, you should definitely take part in it! Now let’s talk about the capital city of Hungary, Budapest. First a little history: The Hungarian Catholic Kingdoms was established by István the Saint in 1000 A.D. The capital city was Fehérvár, after a few centuries it moved to Buda. In the medieval times Buda and Pest were separate cities. 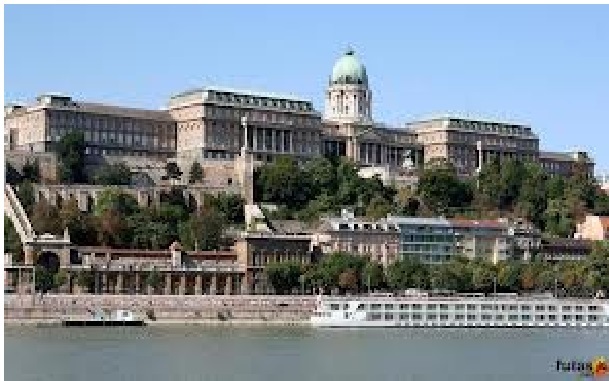 Buda was the royal seat and the prefectural capital of the kingdom, Pest was the trading centre. Later the Turks invaded Hungary in 1541, and Buda was occupied by them. Buda was recaptured in 1686, after a grand assault against the Turks, led by the Polish prince John Sobieski and the Habsburg commander, Charles of Lotharingia. From 1541 till 1848 Pozsony (today Bratislava) was the capital of Hungary. Budapest was created in 1873, after the merger of Pest, Buda and Óbuda. The kingdom was truncated after World War I, by peace dictatum in Trianon, Paris 1920. 66% of the territory was taken away. The kingdoms was extinguished in 1944, during World War II, Hungary became a republic. Then came the soviet army, and Hungary became a soviet interest. The iron curtain got down, and the communist era has begun. After 1989 Hungary reclaimed its independence. Budapest is especially gorgeous at night. That’s why we suggest you to take a walk in the city after the sun went down. 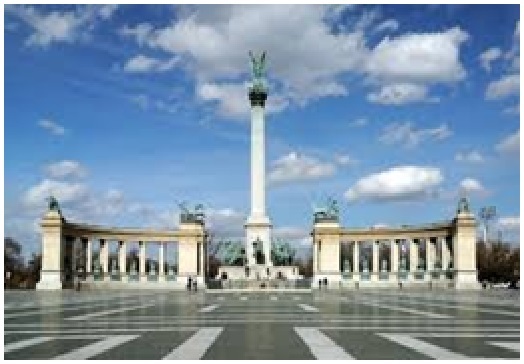 We advise you starting from Fővám Square and follow the Danube to North. You can walk near the river, or on the very famous shopping street, called “Váci utca”. Go to the Parlament, admire the hills at the other side, the bridges bathing in light. 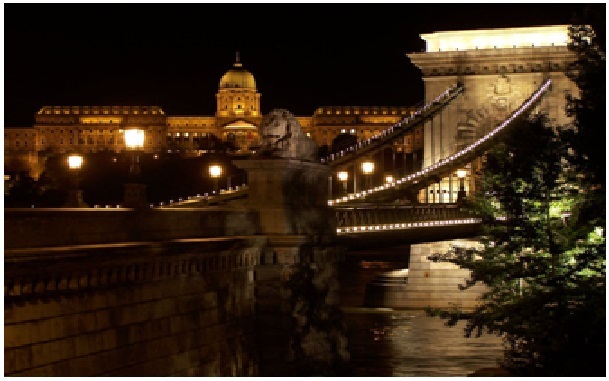 The most beautiful bridge is the Chain Bridge with its magnificent lions! If you plan to see all the sights, a whole week won’t be enough. When you’re there, you can ask your local mentor to guide you. 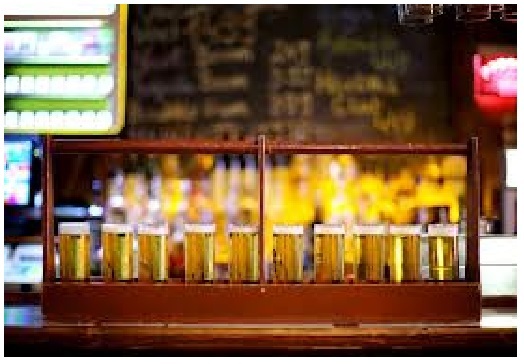 Some other great taverns to visit: Akácfa Söröző, Gong Café, Presszó 53. *English title: Pole and Hungarian — two good friends, joint fight and drinking are their ends.